FULL Access until you take (AND PASS) the board exam! 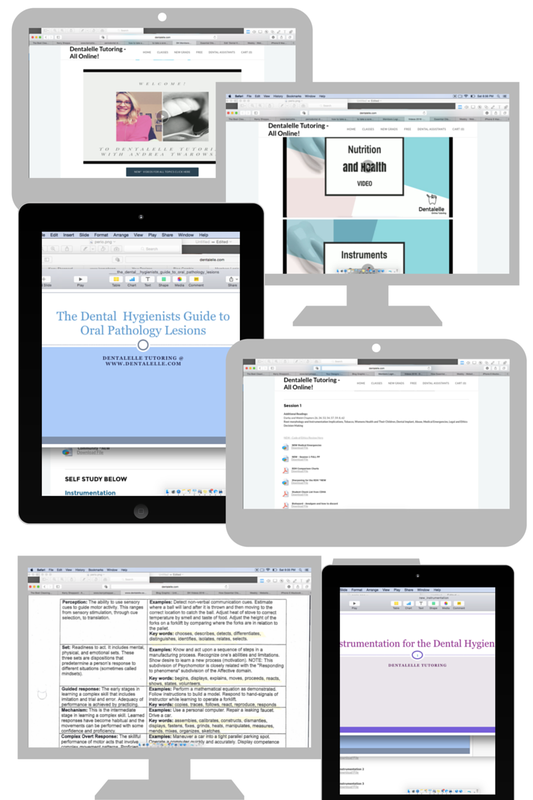 This is the BEST course Dentalelle has to offer in Board Exam Preparation! SIGN UP NOW! 99.4% SUCCESS RATE! *NEW * GET A FULL 8 MONTHS OF ACCESS FROM SIGN UP DATE. WHAT IF YOU DON'T PASS YOUR EXAM? YOU GET ANOTHER 8 MONTHS FULL ACCESS FREE! 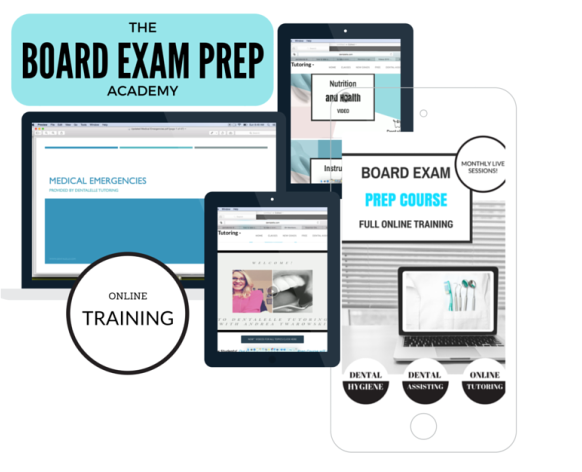 Sign up for the FULL Board Exam Prep Course and get access to all materials, videos, case studies and mock exams to prepare yourself for the exam! 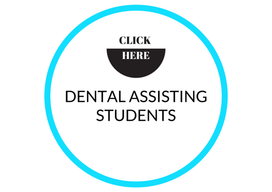 -Access to a private Facebook group for Dentalelle students ONLY to network, weekly study tips and resources, radiographs and oral pathology lesions to constantly review and study, pharmacology medication review, and more. Students can post questions and receive answers and feedback instantly. -Unlimited email support with Andrea! -Twice a month tutoring sessions on different topics to help prepare. -Mock exams and case studies uploaded. Also receive additional discounts for other mock exam and case studies packages, plus a discount for the Board Exam Boot Camp Intensive Review every few months! -No textbooks needed! All materials are uploaded for you to begin studying right away. Videos, documents, materials, mock exams and case studies. What do I get when I sign up for the Full Board Exam Prep Course? You get instant access to all the materials, videos, and mock exams. You also get access to all sessions as they come and all recordings. Your registration is active until you pass the exam - so if it takes you a year to take the exam and pass, that's ok! You will still have access. Can I access The Full Board Exam Prep Course from any computer or mobile device? Yes! You can access it from any computer, browser, or mobile device. When you sign up for The Full Board Exam Prep Course, you can access the material whenever you want. Then, if you ever want to go back and review (or in case you missed any sessions), you can do so at any time. You have full access to the lessons until you take and pass the board exam. --99.3% success rate! 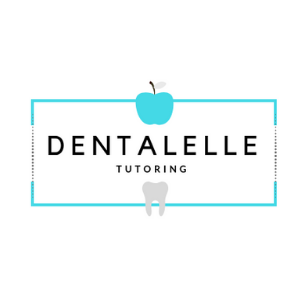 Dentalelle WILL help you pass the exam!